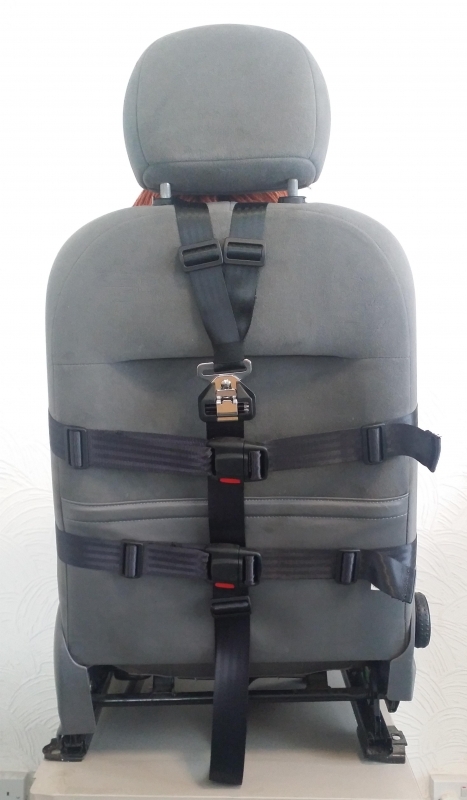 Fully Rear Fastening Harness for single vehicle seats. 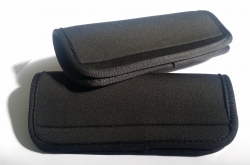 Designed for those passengers with challenging behaviour &/or learning difficulties. 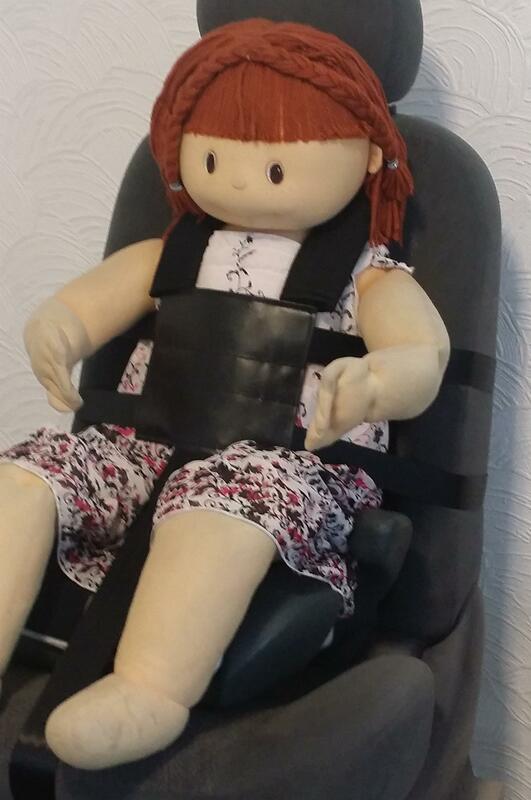 Provides postural support & assists in seating the occupant in an upright sitting position. 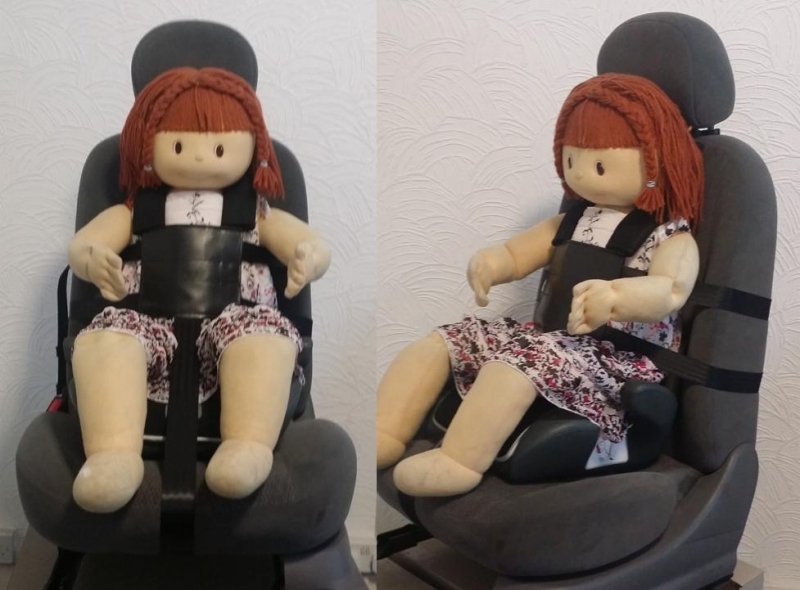 This version is often referred to as the "Houdini" harness by our customers as it is very suitable for those passengers with inquisitive fingers or potential escapologists, as all three buckles fasten behind the seat back. Also suitable for use on many wheelchairs and some easy chairs. 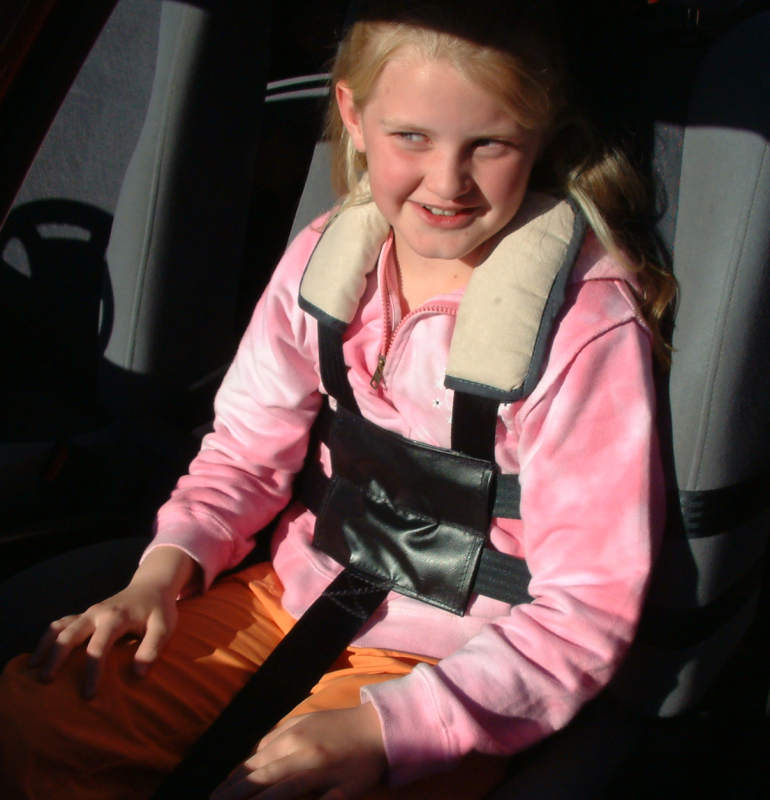 To fit the harness, easy access is required all the way round the seat back & underneath the base of the seat cushion. 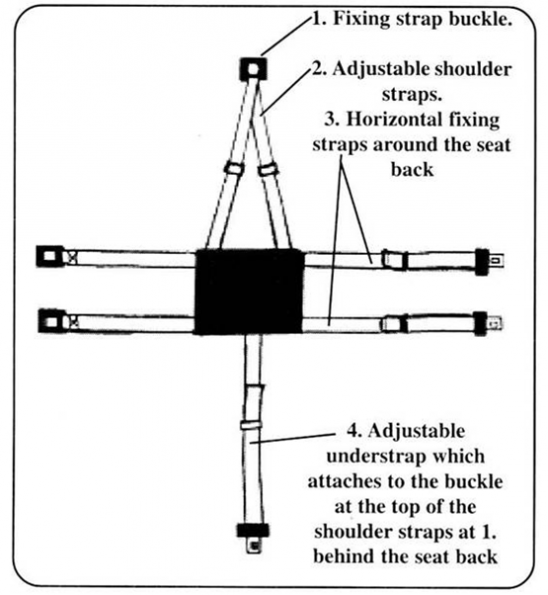 In order to fasten the straps. 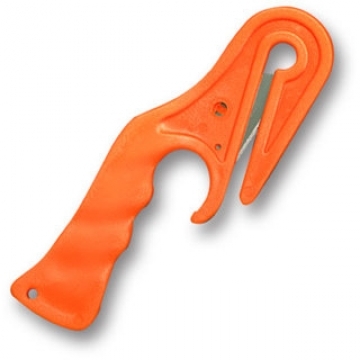 This harness is usually only suitable for mini buses, coaches & people carriers etc. 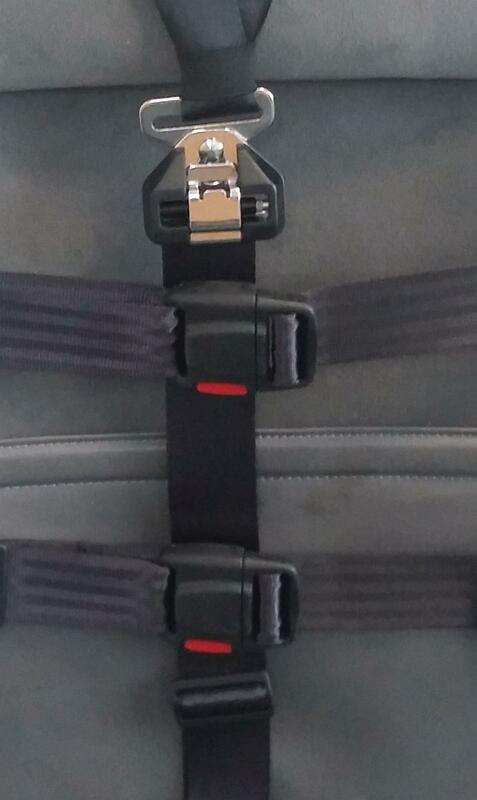 which allow easy access directly behind the seat. This harness MUST NOT be fitted to a standard car where the only access to the back of the seat is via the boot. 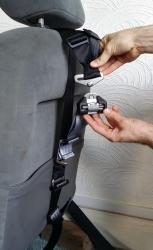 If the passenger can reach behind the seat to undo the buckles or there are other passengers in the vehicle that may release the passenger - Please choose Model 13 fitted with three Steel Safety Buckles, which are much more complicated to open. Steel Safety Buckle fitted to Shoulder Straps. 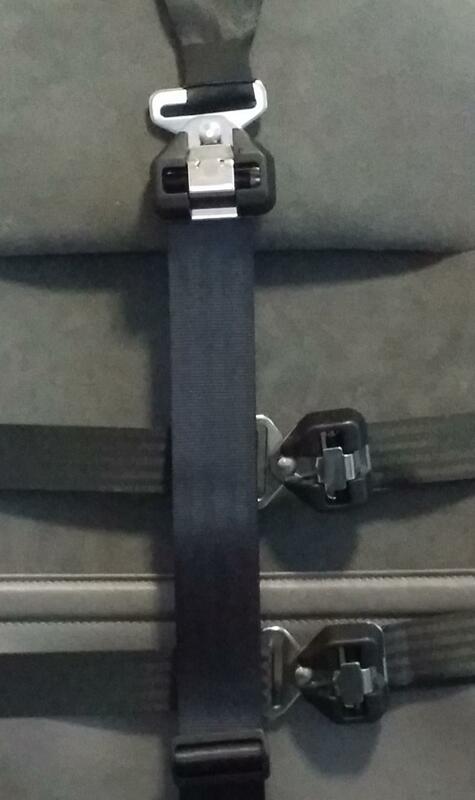 Steel Safety Buckle fitted to Shoulder Straps, Waist Belt & Chest Belt. 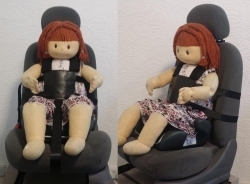 or there are other passengers in the vehicle that may release the passenger. 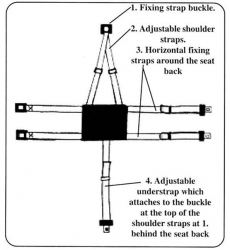 This simple vertical Stabiliser Strap can be fitted to the seat back to offer extra stability by restricting excess movement. 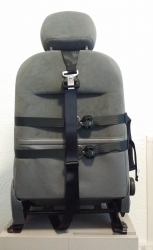 As the buckles are positioned at the rear, it can be left in position on the seat without having to remove it each journey.